What we have seen from trailers and gameplay so far (minus the song choice from the announcement trailer) has been completely boss. A number of mechanics and features have been shown off already, such as the splitting of the super meter into attack and defence bars. Another prominent aspect that has been shown is the implementation of weapons. Mortal Kombat: Deadly Alliance introduced weapon stances to the series back on the PS2 and OG Xbox which resulted in varied success depending on which character you used. 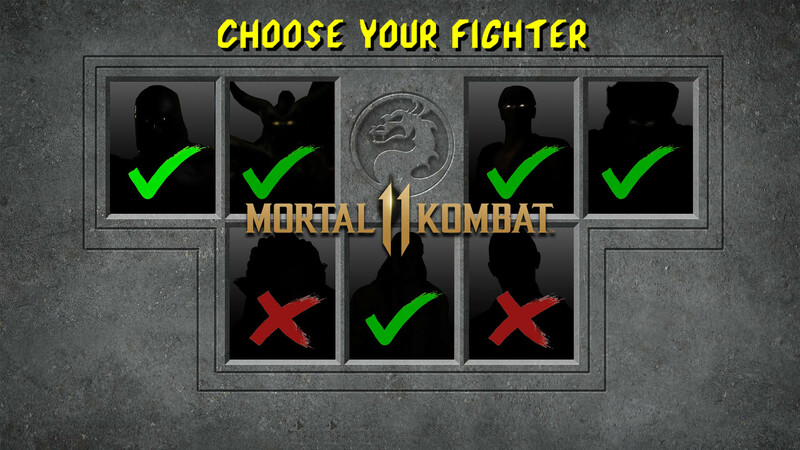 Weapons, though present on characters and often used during combos, haven’t played a major part in the series since it was soft rebooted with Mortal Kombat 9. Though it doesn’t look like we will be getting stances again, interactable environments and use of character weapons through meter burns does look to play a larger role. With this in mind there a few combatants that could easily fit right in. One of the first to come to mind is the Native American arse-kicker, Nightwolf. Being that he is able to mystically summon tomahawks, knives and a bow and arrow on command, Nightwolf seems like a perfect fit for the new weapon focus of MK11. Now things haven’t exactly gone Nightwolf’s way in terms of the story lately, being that he was killed and then resurrected by Quan Chi as a revenant, but seeing as there are time-traveling shenanigans afoot, we may get to see him fighting for the good guys again real soon. It is important to note that NetherRealm has faced a fair bit of criticism concerning Nightwolf’s stereotypical depiction of Native Americans, but if we look at how characters such as Sonya Blade and Skarlet have evolved from being ridiculously proportioned and scantily clad, to well designed, modest characters, I have faith that they are able to move with the times and give Nightwolf a modern-day makeover as well. How legal is it to emulate classic games? Happy Hour: All Aboard The Warframe Train!